Have you wondered where the current ' Real Housewives of Orange County' live? Posted by Teresa Mihelic HelpDesk on Monday, February 6th, 2012 at 4:41pm. Yes, in Orange County, but where exactly to the Real Housewives of OC live? The show, which technically is a reality TV one, was originally set to broadcast the luxurious lifestyles of five housewives living 'behing the gates' in the community of Coto de Caza which is where the show producer lives. But to many, this is almost a comedy about the economic recession and what many American families have gone through when overspending, living beyond their means and using their piece of real estate as an ATM machine, only to find themselves facing serious debt, foreclosures and marriage troubles. Eventhough the show started as Coto de Caza only housewives ( with the exception of one who lived in the nearby Ladera Ranch and transformed her life when marrying a wealthy man), the season 7, now with only one original cast, now portrays the lifestyle of these women in different cities around Orange County. Alexis Bellino and her husband avoided foreclosure on their Newport Beach mansion and sold the home as a short sale. They now live in the gated community of Monarch Beach in Dana Point, where homes go from condos around $200k to lavish estates in the multi million dollar markets. Tamra Barney was forced to sale her home, and her 4,300-square-foot home in Ladera Ranch was sold in a short sale at $1.12M instead of the $1.6M asking price. She now lives in a 2 bedroom apartment. 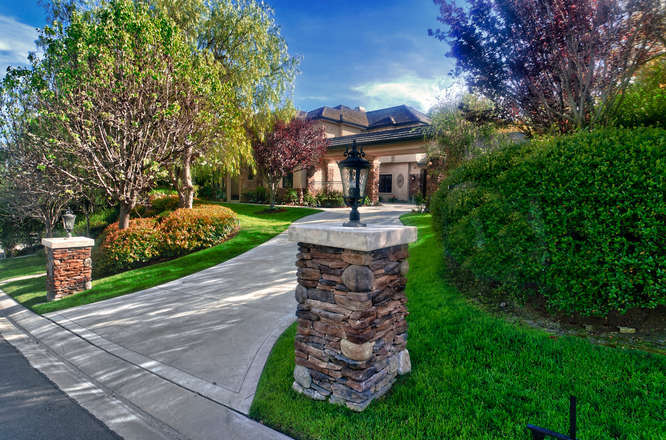 Ladera Ranch is a master planned community with many amenities, that has one gated neighborhood: Covenant Hills. Ladera Ranch is also where former housewife Lori Peterson used to live with her children too, before marrying George Peterson and moving to his estate in San Juan Capistrano, where she loves riding horses in the property. Gretchen Rossi and her boyfriend Slade Smiley currently live in Costa Mesa. Slade was the former boyfriend of another housewife from season 1, and they used to live very lavishly in Coto de Caza. Vicki Gunvalson, the only original housewife, has her home currently for sale: 7 Shire Coto De Caza MLS S653043. Check out the details on the sale following the link. The picture featured is the front of her home.This is the only home from any of these housewives being sold as a standard sale and the only one that still lives in Coto De Caza. Jenna Keough, former housewife, was able to save her Coto de Caza estate that was facing foreclosure, and got a loan mofication and kept the home. And finally, the newest addition to the Housewives of OC, season 7 presents Heather Dubrow, who currently resides in exclusive Pelican Hill in Newport Coast. She and her family are looking to buy a new lot for a new estate or a new house in the area.